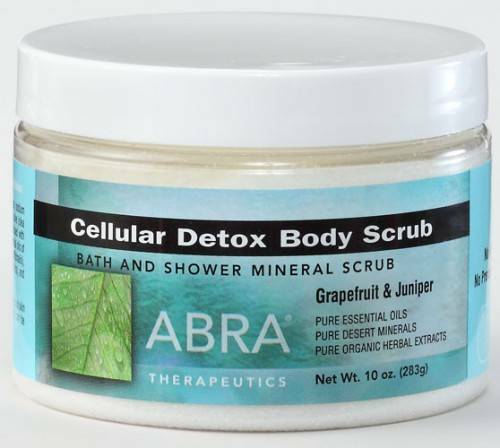 Cellular Detox Body Scrub Our lives are full of exposure to daily pollutants that cling to the surface of our skin. Cellular Detox Body Scrub is made to neutralize these free radical pollutants and shed them from your body. Organic Dandelion and burdock combine with essences of Grapefruit and Juniper for an uplifting aromatic pleasure.